Like many families, mine is enjoying spring break. That means two things. One, I will probably not post another blog again this week. Two, I’m listening to some fun music. Here are my top “fun” songs. By fun songs, I don’t mean they are the best songs or even my favorite songs. I simply mean that they are songs that, when I hear them, they tend to instantly put me in a good mood. I’d be interested to know what some of your “fun” songs are. 1. Green Onions–Booker T. and the M.G.’s: Without much doubt this is the coolest song every recorded. 2. Life During Wartime–Talking Heads: I would have titled this the “Spy Song” because it is so spy-like. Would have made a great theme song for a James Bond film. I don’t think they meant it as a fun song, but it surely is. 3. 99 Luft Balloons–Nena: Whether it is in German or English I don’t really know what this song is all about except that it has Captain Kirk in it and they say it is an anti-nuclear protest song. It might be nostalgia but this song reminds me of the 80’s. Good times. 4. 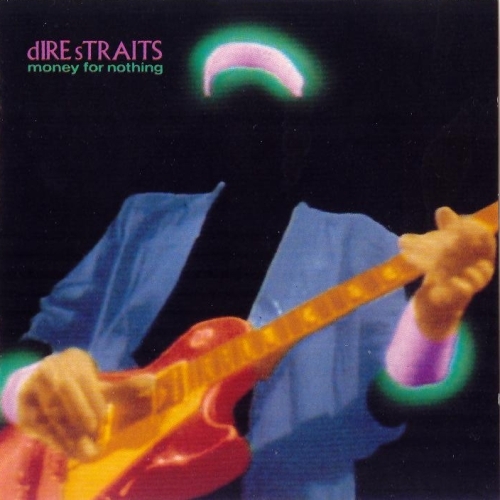 Money For Nothing–Dire Straits: You know you love it. One of the best guitar licks ever. 5. Shiny Happy People–R.E.M. : Not my favorite R.E.M. song by a long shot, but how can you not hear this song and not be incredibly happy almost instantly. 6. Margaritaville–Jimmy Buffet: Quite possibly the greatest beach song ever recorded. It was made for spring break. 7. Superstition–Stevie Wonder: Funky and awesome with Bible quotes all wrapped in. How can you not love this song. 8. Linus and Lucy (AKA The Charlie Brown Song)–Vince Guaraldi Trio: Jazzy fun music that should most definitely be in your playlist for spring break. Just thinking about listening to it improves my mood. 9. Taking Care of Business–Bachman Tuner Overdrive: “If you ever get annoyed, look at me I’m self-employed, I love to work at nothing all day.” Yeah, that’s pretty much what we want our spring breaks to be like, right? 10. Fly Me To The Moon–Frank Sinatra: If we lived another 1000 generations, there will never be another musician as cool as Frank Sinatra. It would make your entire spring break infinitely better to spend an afternoon digging all of his music, but I only list this one here because, it is probably the coolest of the cool. So those are my fun songs. What are yours? I am very interested to know what are your coolest songs, those songs that you just think are fun. Maybe not your favorite, but songs that make you happy, songs that make you smile. What are they?